During the course of a career that began in the late 1940s, Lenny Bruce challenged the sanctity of organized religion and other societal and political conventions and widened the boundaries of free speech. Critic Ralph Gleason said, “So many taboos have been lifted and so many comics have rushed through the doors Lenny opened. He utterly changed the world of comedy.” He died in 1966 at the age of 40, his influence on the worlds of comedy, jazz, and satire incalculable, and How to Talk Dirty and Influence People–now republished to coincide with the 50th anniversary of Lenny Bruce’s death–remains a brilliant existential account of his life and the forces that made him the most important and controversial entertainer in history. "Nice reissue Da Capo! 'Bout time!" "If there was a God, then he sent down Lenny Bruce to create the art form of modern stand-up comedy. He sought the truth fearlessly and hilariously until his tragically muffled First Amendment rights surely enabled his dying for our sins." 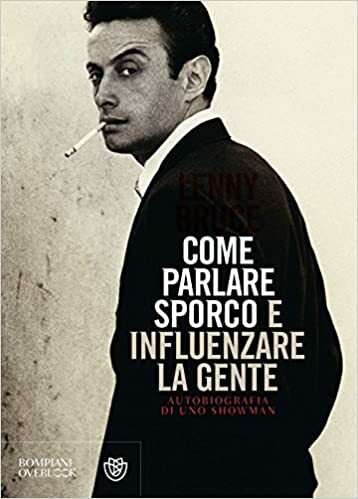 Lenny Bruce (1925-1966) was a stand-up comedian, social critic, satirist, and screenwriter. His 1964 trial for obscenity (and posthumous pardon) is seen as a landmark for freedom of speech in the United States.